Feel the confidence of an upgraded infrastructure in the heart of South Miami. 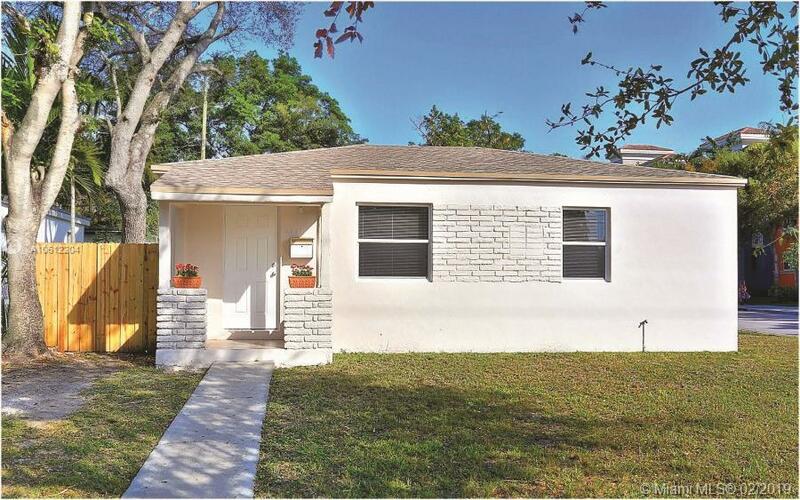 This bright sunlit home features 2 bedrooms, 1 bath, corner lot, open living/dining, upgraded electrical (2016), roof less than six-months old, A/C replaced in 2017 including new air ducts, impact windows and doors (2016), new plumbing lines from house to main (2016), no cast iron, city water and sewer (no septic). WOW! French doors to spacious covered patio, remodeled bath, ceramic tile floors, fresh exterior paint, large side yard for boat or RV. Walk to University of Miami, Metrorail, Whole Foods, South Miami Hospital, Sunset Place and minutes to Dadeland Mall. Bonus....located in the Sunset Elementary School District.